Why is it so much faster ? It takes better advantage of Parallel Computing. What is Parallel Computing ? Parallel Computing, also called Multitasking is when a software executes more then 1 task at a time. 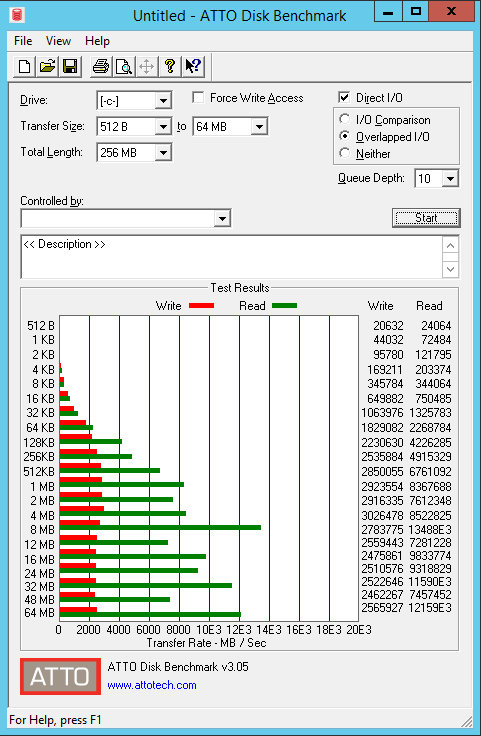 This works well on Multi Core CPU´s but also on Single Core CPU´s. We will see a direct comparison between 2 and 32 threads. This Diagram shows performance with 2 and 32 threads. 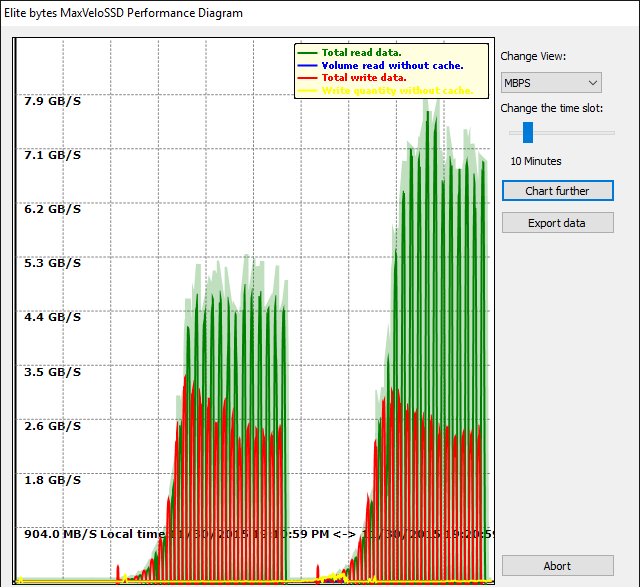 Quite impressive acceleration., up to 7.5 GB/Sec. It ran on a M5A97 Board with AMD CPU. 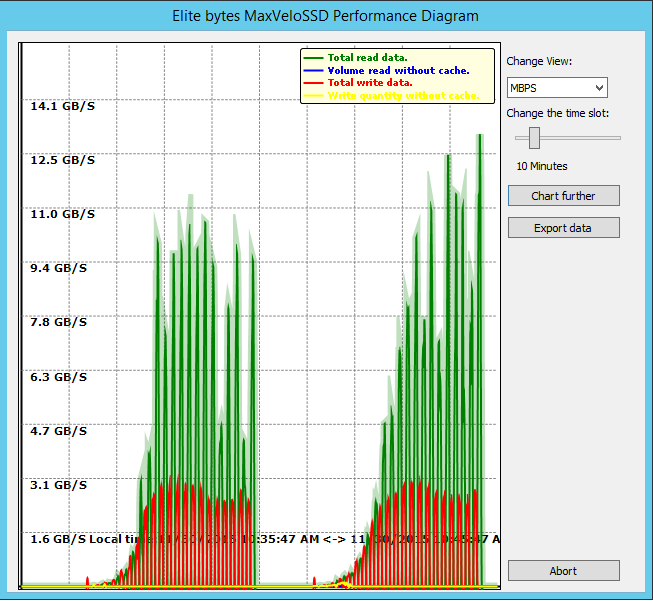 We again used ATTO Disk Benchmark, this screen shows the run on 32 Threads. 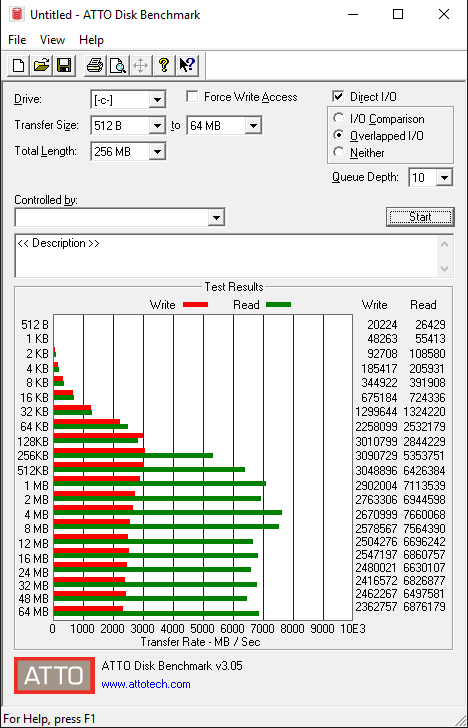 MaxVeloSSD has a control where up to 64 Threads can be assigned to the cache. It puts no load on the CPU in idle , the threads sleep until the workload demands them. Rates over 10GB/Sec. are shown with an Exponent.